Pajamas, a free mimosa, and a photo booth – enough said! 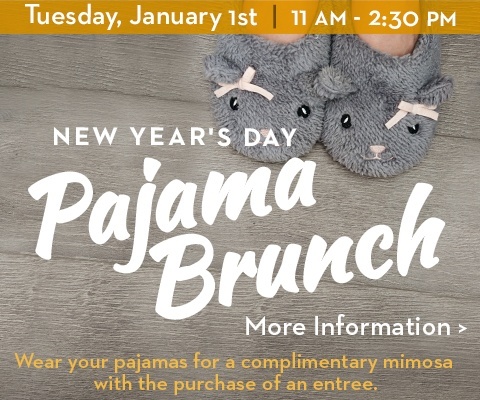 Ever want to brunch on New Year’s Day but don’t feel like changing out of your PJ’s? No problem! Show up for brunch in your pajamas on New Year’s Day and receive a free mimosa or any coffee beverage with the purchase of an entree. Regular brunch menu will be available. Photo booth available from 11am – 2:30pm.